Getting hurt at work is never an enjoyable circumstance. 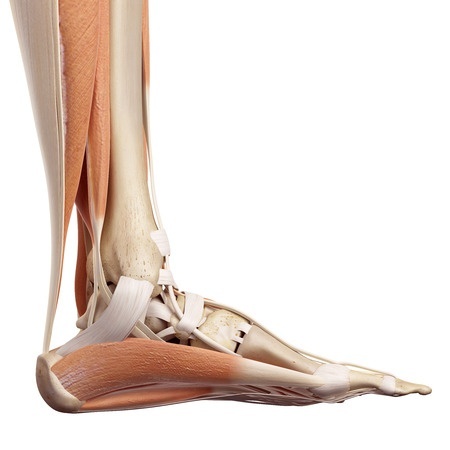 Sometimes an injury can be minor and other times it can be very severe. One of the most common type of workplace injuries that can affect our feet and ankles occur from falls at the workplace. Sometimes these falls are not that simple. 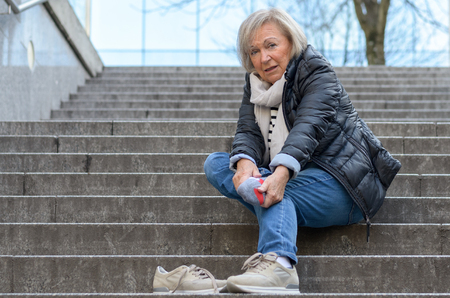 There are many different ways the body and feet and ankles can experience a fall and each has their own associated risks. The two main types of falls are same level falls and elevated falls. Same level falls are more common and usually have a lower level severity in injury. Elevated falls happen less frequently but have more serious injuries associated with them. Within the realm of the two major types of falls there are three main subcategories of falls. Each possesses characteristics that make them unique. Slips are usually caused by a slippery surface and are made worse due to the wrong footwear. When walking normally two types of slips can occur. The first is when the heel of the forward foot connects with the surface one is walking on. The front of the foot slips forward and the person falls backwards. The second type of slip when walking normal is when the rear of the foot slips backwards. The force moves from the rear foot sole to the front sole and causes the slip. In order to avoid these types of slips and falls, one must have plenty of traction. A snow boot with anti slip soles is ideal for providing enough traction to prevent this type of slip and fall and also helps prevent further foot and ankle injuries. Trips happen when the front of the foot strikes an object and is suddenly stopped. The body is thrown forward and falls due to the sudden force. Even the smallest difference of rise can make a person trip and fall. 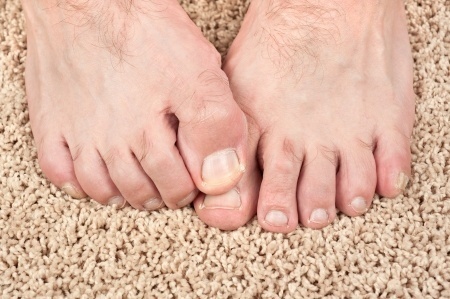 This occurs when the front foot lands on a surface lower than expected. An example of this is stepping off a curb you didn’t know was there while walking in the dark. Making sure to wear the right shoes and keep up with regular maintenance of a building is important to help prevent these types of falls. Suffering from a fall injury? Do not hesitate, call Dr. Mayer Salama and Dr. Daniel Salama today! Dr. Mayer Salama and Dr. Daniel Salama located in Dearborn, Farmington Hills, Clarkston, Trenton, Michigan have many years of experience with congenital disorders of all types. Call 313-274-0990 or make an appointment online today.